"They’re calling it the World Of Warcraft Starter Edition, and it’s still limited by other trial aspects, such as not being able to use the auction house, and suffers a few other caps such as a limit of 10 gold. If trialees get to level 20 and want to open up their game and keep playing then it’s possible to to purchase the Burning Crusade for $20 and subscribe for the normal amount. The Burning Crusade has also now been unlocked for free for anyone who owned the original game." Question now is: is this Blizzard feeling pressure from the F2P revolution or Blizzard just trying to hook more subscriptions on an aging game? Only time will tell. EDIT: Oops, said it was the first 25 levels when in fact its only the first 20. The writing is on the wall: Lucas Arts must close the Star Wars Galaxies (SWG) chapter of Star Wars MMOs. SWG is a black eye for the MMO community as a whole; wonderfully envisioned yet poorly managed by SOE and hamstrung by Lucas Arts. SWG will be shutdown as of Dec 15th, 2011. Anyone thinking this wasn’t inevitable hasn’t taken a look back on the history of Star Wars gaming. This is Lucasfilm’s (now Lucas Arts) calling card: out with the old and in with the new. Let’s step back in time to 2001. Decipher, a card game company, has been running the Star Wars Customizable Card Game (SW:CCG) for the past six years. They are competing directly with the behemoth that is Magic: The Gathering (MtG). SW:CCG is consistently considered the second place card game on the market behind MtG. On occasion, SW:CCG is even outselling MtG. The future is bright with new Star Wars prequel movies in the theatres and a SW:CCG expansion pack sitting with the printers. Then suddenly word hits that Lucasfilm is looking to pull the plug on SW:CCG. After several negotiations, the Star Wars license is pulled from Decipher and the SW:CCG grinds to halt. Many people not familiar with this story may assume that there was a valid reason for Lucasfilms (this is pre Lucas Arts days) to pull the license. It certainly couldn’t be because the game flopped: it was, after all, competing alongside MtG. While no solid answer was ever given for the whole debacle, it didn’t take long for the card gaming community to figure out the true motivations. Lucasfilms had gone and recruited Wizards of the Coast and MtG developer Richard Garfield to create a new Star Wars trading card game (SW:TCG). It was clear that Lucasfilms did not want a Star Wars game playing second fiddle and who better to fix that than the people behind the number one game! Too bad for Lucasfilm, because the SW:TCG flopped and closed within a couple years. Looking back to SWG and we can see the same pattern emerge. A new MMO, Star Wars: The Old Republic (SW:TOR), is right around the corner and SWG is not even second fiddle in the MMO market. On top of not even being competitive in the market, SWG is a laughing stock ever since the disaster known as the New Game Experience (NGE). Lucas Arts wants all focus on SW:ToR and SWG’s license was up in 2012. SWG had to be closed. To be honest though, I am simply amazed how long SWG remained alive. I was actually talking about SWG’s demise in 2006 and my post from March of that year is eerily relevant to the current events. SW:ToR is exactly that: space flight and combat, action inspired game play, and Star Warsy"ness". Unfortunately back then I didn’t realize I was going to be on the other side of the fence, completely put off by what SW:ToR is shaping up to be. The Star Wars fan inside of me died a little researching and writing this post. I truly wanted SWG to succeed and still hold it within my top MMOs of all time simply on wasted potential. I also want SW:ToR to surprise me and be a new dawn for Star Wars MMOs. Sadly, with Star Wars it doesn’t appear we can have two separate properties exist in the same market and we're forced to accept whichever one Lucas Arts determines to be the best. *I apologize for the acronym soup. I've decided to break my MMO drought with Global Agenda: Free Agent because it has jetpacks and guns instead of wings and swords. Which is ironic considering I've taken a break from Fantasy in my reading schedule in favor of Sci-Fi titles such as Snow Crash and Daemon. The only Fantasy in my life is The Witcher, a single-player RPG, and Terraria, a whatever you want to call it RPG/Minecraft thingy game. To my surprise, Global Agenda is a refreshing change of pace. I started the game last night with the Robotics class which is a pet class that has drones and turrets as it's main feature. As a long time Team Fortress 2 Engineer player, I am intimately familiar with deploy-able turrets and I immediately fell in line with my Robotics character. Sadly, it took me a few levels to realize that I could boost my turret's effectiveness with a repair tool that was attached to my shoulder. Once I had the basics down, I was rollin' in style. I played through several newbie quests in one of the open-ended areas. Global Agenda is actually just a series of instances, not a true persistent world ala World of Warcraft. These quests were simple go there, kill X, get reward style. I ran accross a couple other players, but didn't really interact with them. This is not unsurprising. There hasn't been an MMO since Ultima Online where I truly felt like I was meant to interact with other players initially. All that social stuff is meant for the "end game" anyways. Right? After the solo quests, I was lead to a "mission terminal" (which I later discovered I could just access at anytime from anywhere). I was able to jump into some randomly formed low level, randomly generated missions. I was often the lowest level in the group, but it didn't seem to be as detrimental as expected. For example, one group was me at level 7 with three level 18s and I ended up being able to carry about 20% of the healing/damage. If I knew the game better, I could have most likely carried my fair share of 25%. So far I'm impressed. My biggest complaint is the limited use of the Robotics turrets (I don't really have drones yet, so not sure how they function). By the time I put the turret down in a group mission, the group has moved on. In solo play, enemy NPCs just constantly stopped outside of the turrets range and therefore the turret did nothing. The only time the turret was of use was to plunk down next to the boss NPC in the missions and let it plink away until it was killed off. I finished up at level 8. My in-game name is, of course, heartlessgamer. A slew of free to play (F2P) games have arrived on Steam including Global Agenda and Champions Online. The micro-transactions within the games will all be available through Steamworks (to my understanding). Anyone familiar with buying hats in Team Fortress 2 will understand the Steam integration of micro-transactions. This is really good news and Steam is a perfect vehicle for F2P games. The biggest barrier to subscription games is requiring a credit card up front. F2P removes that barrier and then the biggest barrier for F2P games is the client download and account setup. Both of these, for the most part, can be taken care of via Steam. I'm looking forward to more F2P games to hit Steam. 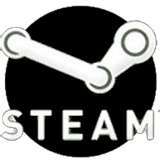 Personally, I'd love to see League of Legends or Allods Online on Steam. Of the first wave of F2P games, I may try out Forsaken World (a straight up WoWDiku MMOG) or maybe Spiral Knights (co-op dungeon beat'em'up) or Global Agenda (shoot em up MMO thingy).